In the first part of this report, I shared our adventures at the Hong Kong Disneyland (HKDL) hotels, resort esplanade area and train, Main Street USA, Flights of Fantasy Parade, Disney Paint the Night Parade, the Disney in the Stars Fireworks, and the Frozen Christmas Tree Lighting Ceremony. In this edition I will be including Critter Country, Grizzly Gulch and Liberty Square at the various parks around the world. The reason for this is that they all share a common theme of the frontier and wilderness, and also because otherwise there would be nothing else to compare them to (for example, since there is only one Grizzly Gulch, that wouldn’t make for a very interesting article!). Sorry that it has been a few days since a proper update. I have been very busy with getting ready to move house, preparing for our trip to Disneyland this week, and a whole lot of other things that basically get in the way! We do actually try to keep up to date on our forums, and our members there often post news before I get chance to blog about it; so be sure to join our friendly forum to get the most out of Character Central! Ok so to the news! Tokyo Disneyland have finally added Rapunzel and Flynn as meet 'n' greet characters, which means that Rapunzel can now be met at all five resorts worldwide! Disneyland celebrated it's 57th birthday last week, and there was a small ceremony in Town Square. Here's a link to a video of the occasion. 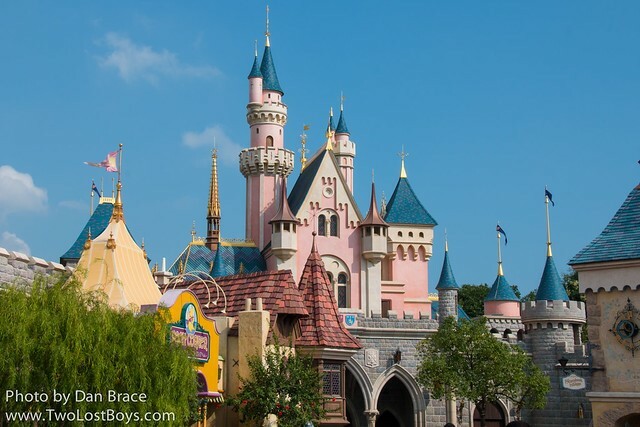 Hong Kong Disneyland's newest land opened last week. 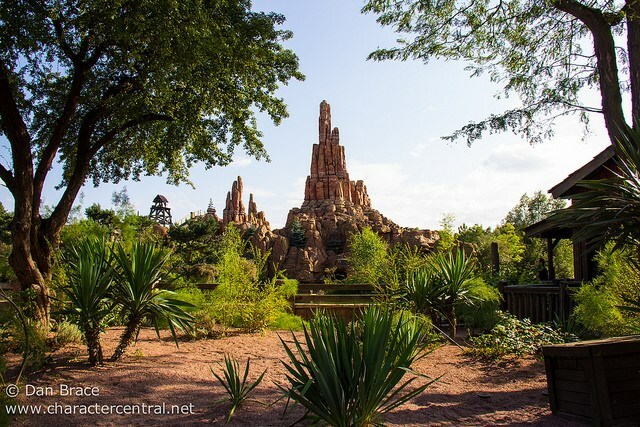 Grizzly Gulch features a new take on the Frontierland concept, with a new attraction that is a unique take on Big Thunder. Of course characters now meet there, and guests can meet Mickey, Minnie, Chip and Dale in brand new Western outfits. Koda and Kenai also meet there. Over in Disneyland Paris they released their press information for Halloween Season this year. I had already said previously here on the blog that people should expect the Mickey's Trick or Treat in the Street to return, and I was right! Goofy will have a new Halloween location in Town Square, and will be themed around the Goody Candy Co concept which they have in the US. The Villains will of course be back, but in Fantasyland, and Jack and Sally will return as usual, this year near Phantom Manor. The Soirée sadly will not be getting a replacement show because of the loss of Central Plaza Stage, but Disney Dreams! will be run instead (which can of course be seen any night of the year). I haven't heard of any more changes to the Soirée, so hopefully all the other weird French entertainment, performers and characters will return as usual. There is one last thing for Halloween, but it is linked with a recent event too. We all know that Duffy the Disney Bear has never been popular at any park except Tokyo, despite the fact that he continues to be pushed everywhere. Well, despite the US pushing him ever forward, Paris actually decided last week (unofficially I guess) to drop him! Now, instead of Duffy at the Boarding House in Town Square, any other main character (usually a Big 8 or Pooh pals) appears if they decide to do that, at any given point (Duffy might still appear, but it is less likely now). What we have heard though is that Duffy will be back full time for the Halloween Season in a Halloween outfit. I wonder if it will be the same as the US Parks outfit? I think that's everything for the news today! A couple of things here at Character Central before I go. First off, and I hate to write this sort of thing but needs must, I have seen on a number of occasions again recently people copying our work. Whether that be pictures and even my blog posts. Please do not do this. We work hard - and unpaid! - at this to bring you the best character website on the Internet, and it is so disappointing that people can't even be bothered to link back to us or credit us. Groan over! Second, we have been working really hard to get some great new content up on the site ready for our relaunch, and we are really pleased with how it is all going! I know some of you have asked us on the forums when you can expect to see the new version of the site, and at the moment all I can say is, just be patient and it'll come soon enough! Thirdly, we are off to Disneyland in California on Wednesday, and as always - where possible - we will be updating throughout our trip with pictures and more on our Facebook page and Twitter. So be sure to follow us there! Finally, we are still trying to reach our goal of 2000 Likes on our Facebook page, and when we do, we'll be running another great prize giveaway! So get sharing our page with all your friends! This week various sources are reporting that Tinker Bell's newest Fairy friend from Pixie Hollow, Perrywinkle, will start appearing this autumn at the US Parks. When we hear more we'll of course post here on the blog. Over in Hong Kong, they are just about 4 weeks away from the second of the three new lands to open there, Grizzly Gulch. The official HK Disneyland Facebook page and the website both confirm that Mickey, Minnie, Chip and Dale will appear in the new land in Western themed outfits, as well as Koda and Kenai from Brother Bear (the link being here that Grizzly Gulch is named after the famed bear shaped mountain that casts a shadow over the small mining town). We are going to be in HKDL on two trips this year, so we REALLY look forward to seeing that when we go! Over in California Loren reports that Donald is replacing Mickey at Paradise Pier. The reason, apparently is because Mickey will now be appearing down in Buena Vista Street in his new 1920s outfit. The flaw in that logic is that Donald also will be meeting down there in a new 1920s outfit too. But either way, it means Donald is getting a new outfit for Paradise Pier, as well as the 1920s one! Finally, and also in DCA, Loren also reports that an inside source has told him that the new Dance Party over in the Backlot will feature random and possibly rare characters this summer! As always, we'll keep you up to date with any changes! One last thing to mention - Happy 18th Birthday The Lion King! Check out my special tribute here on the blog!